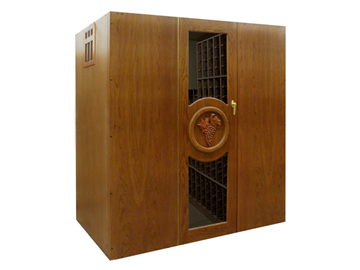 Blend your wine storage needs into any surrounding with Vinotemp handmade wood wine cabinets. For over 25 years, Vinotemp has been crafting custom refrigerated wine cabinets in Southern California while keeping quality and style in mind. 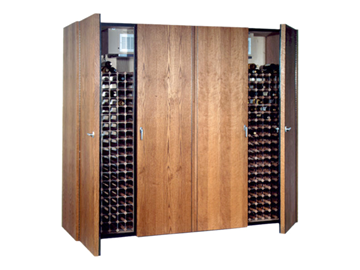 With the largest selection of fine furniture wine cabinet designs available, the capability to make any cabinet customization you dream of, and the quality of manufacturer-direct products, we are proud to deliver professional wine cabinets with a personal touch. 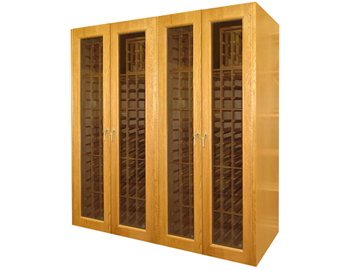 Provides storage for more than one thousand bottles on quality racks made from redwood and powder-coated metal. Racks can be arranged for single-, double- and triple-bottle storage, while also accommodating magnum bottles and crates.